A stunning sterling silver, long statement necklace, that is easy to throw on and go! Wear OLIVIA on it’s own, or layer it up with your favourite shorter necklace for a look all your own. 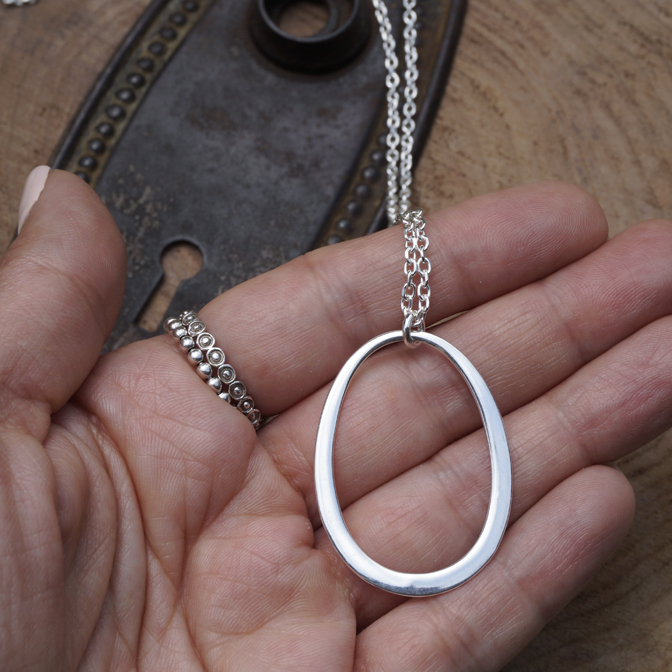 A gorgeous smooth, flat, sterling silver teardrop shape pendant hangs from a stunning sterling silver cable chain, and finished with a lobster claw. I don't wear a lot of necklaces, but when I do, they're usually a longer length -- and I love Olivia for that reason! It's simple but elegant, and perfect for dressing up a pretty sweater. 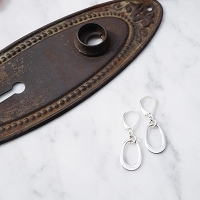 This sterling flat oval necklace "Olivia" is stunning. I wear in it by itself but may try wearing with a shorter necklace handcrafted by Bellabagu. Every piece I own by Bellabagu is well made and it looks like it. She puts a lot of love into each piece she creates.